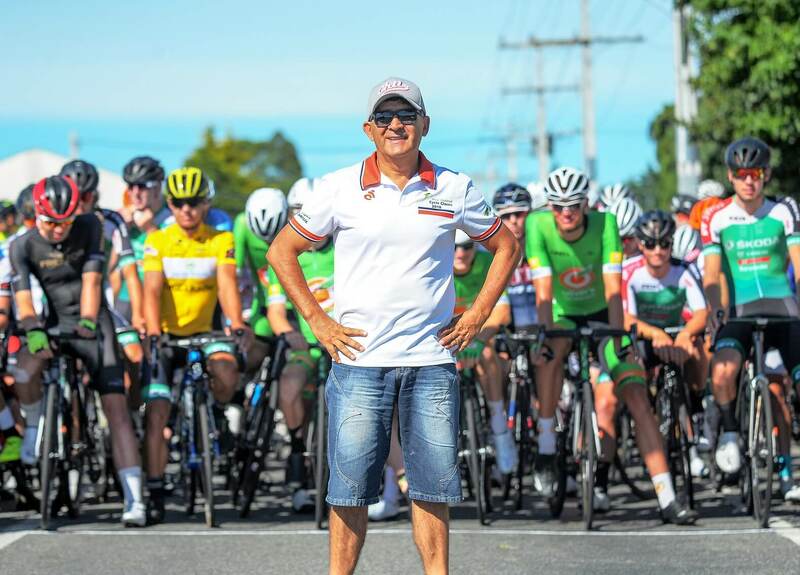 New Zealand Cycle Classic race director Jorge Sandoval has been in town putting the finishing touches on the route for next year’s race, which will be held in Cambridge and surrounding areas for the first time. The route is 90 per cent decided, Jorge said, and just awaiting the final traffic management plan and approval from council before it can be announced – hopefully next week. “The route is going to be very challenging,” he said, with the race taking place from January 23 to 27 next year. When designing the course, Jorge said, it is important to think about rider safety, the attractiveness for sponsors and challenging for the riders. “You have got riders that are very good on the flat and others that are very good on hill climbs.” The terrain needs to cater to them all. An initial selection of 7 or 8 stages have been narrowed down to the final five, with Jorge making the most of his contacts in the local cycling community to gather information, as well as spending plenty of time doing online research and scoping out roads in the car. Closer to the time, Jorge said he will also get on his bike and travel the course himself. Spanning across Cambridge, Matamata, South Waikato and Te Awamutu, the Queen Stage of the cycle classic will involve riders tackling the Maungakawa hill twice. Amanda Till from the Brian Perry Trust explained that every major bike tour has a Queen Stage, normally held on the second to last day of the race, and it’s always challenging for riders. “It’s often where the winner of the whole tour will be decided,” she said. “That will be the best day for spectators,” Jorge added. New Zealand Cycle Classic race director Jorge Sandoval said moving the race from the Wairarapa to the Waikato will be the best thing for the race. Organising a cycle race is no simple matter, but fortunately Jorge has had 32 years’ experience to call on to help with the move from its traditional home of the Wairarapa region. On the Union Cycliste Internationale (UCI) racing calendar, there are a multitude of rules and regulations the event organiser must adhere to. “Every race is treated the same way as the Tour de France when it comes to rider safety,” Jorge said. Even though in France there might be a million spectators lining the race route, which will not be the case here, the rules still have to be followed to the letter, he explained. Bringing the event north was not an easy decision to make, Jorge said, acknowledging that the annual cycle classic has been a major fixture on the Wairarapa’s calendar for more than three decades. “Coming to the Waikato will be the best thing to happen for the race,” he explained, “it will grow and there will be other events supporting it”. Jorge also said it was thanks to the support from the Brian Perry Trust that the race was coming here. “Simon Perry saw my vision,” he said, adding that after the UCI 2.2 race next year he will look at trying to make the event a UCI 2.1 race. A 2.1 race will attract more elite cyclists, as it is higher-rated than a 2.2 race and riders receive more world ranking points. “Having a 2.1 race in this country would be a pretty big coup for the country,” Jorge said, adding that you can also have very good races in the 2.2 event. But “you have to walk before you can run”, he said, saying that the idea will be revisited once next year’s inaugural Waipa event is done and dusted. Jorge is expecting 110 riders to participate in the invitation-only race, that will further cement this region’s reputation as New Zealand’s home of cycling.